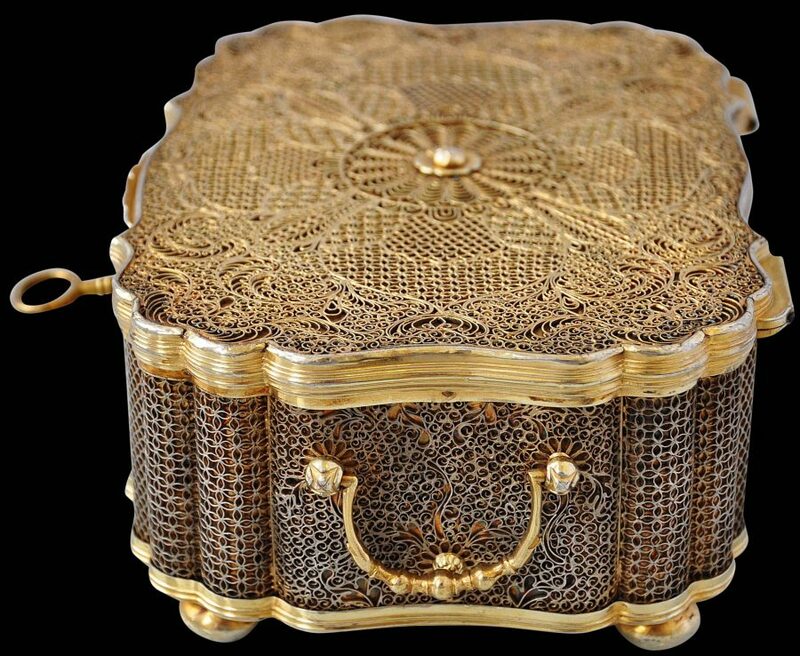 This superb casket comprises a body of silver-gilt sheet, covered by a net of fine silver filigree in the form of leaf and floral flourishes. The filigree is not soldered on but fixed to the edges. 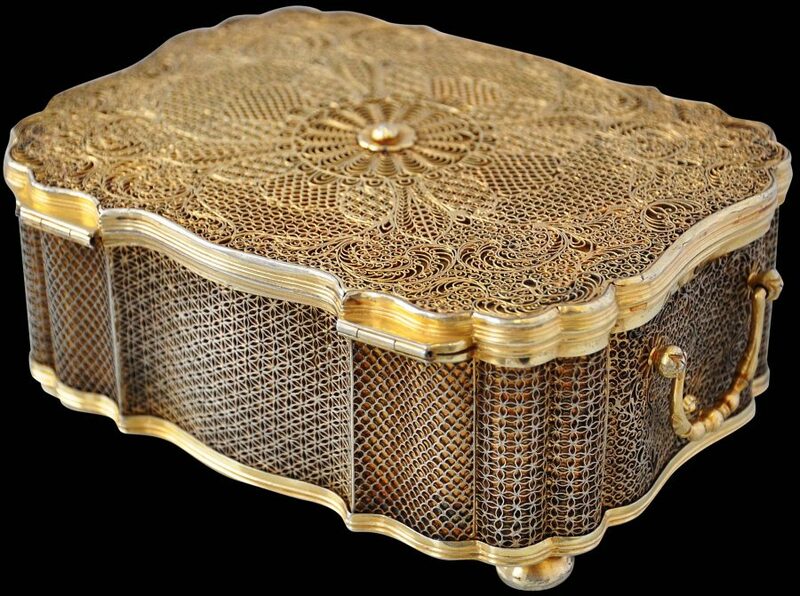 The filigree that covers the lid is gilded; that on the sides has been left without gilding, providing a pleasing contrast. 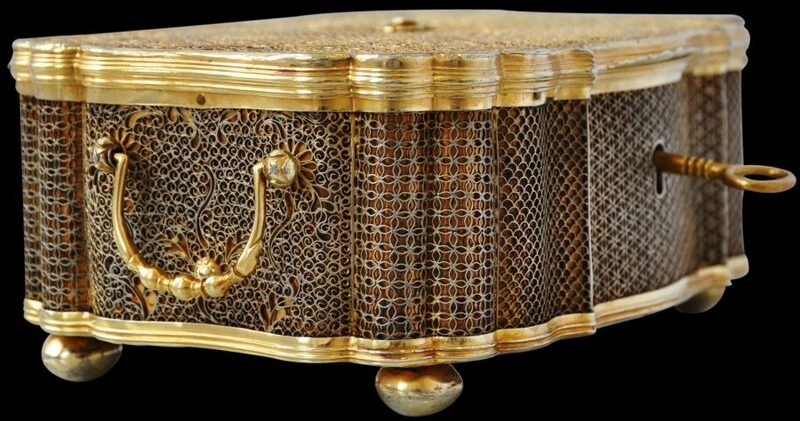 Gilded, cast silver handles are on either side, and the interior is gilded. The cover is hinged and there is a lock to the front which retains its original key. The casket sits on four spherical gilded feet. There are no maker’s or other marks. 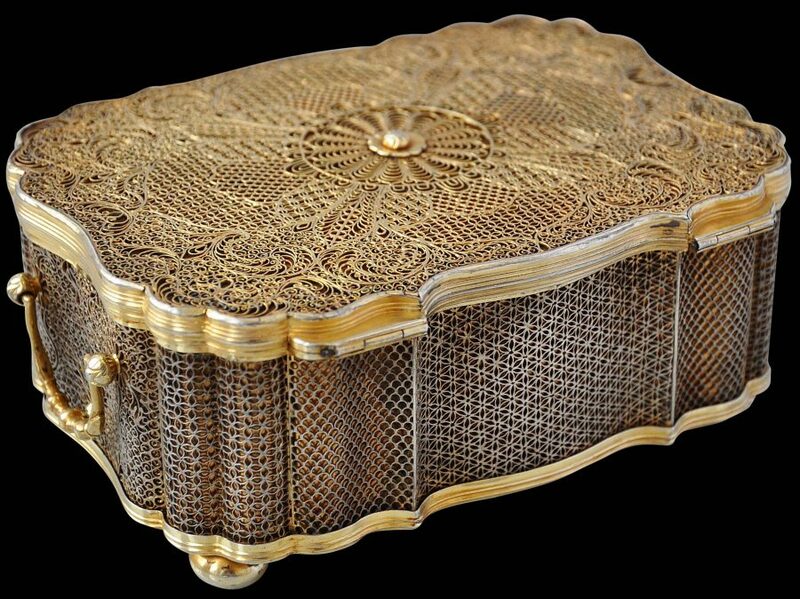 It is usually assumed that caskets such as this example were made in China. This might be true. But there is evidence that they might also be from Batavia. 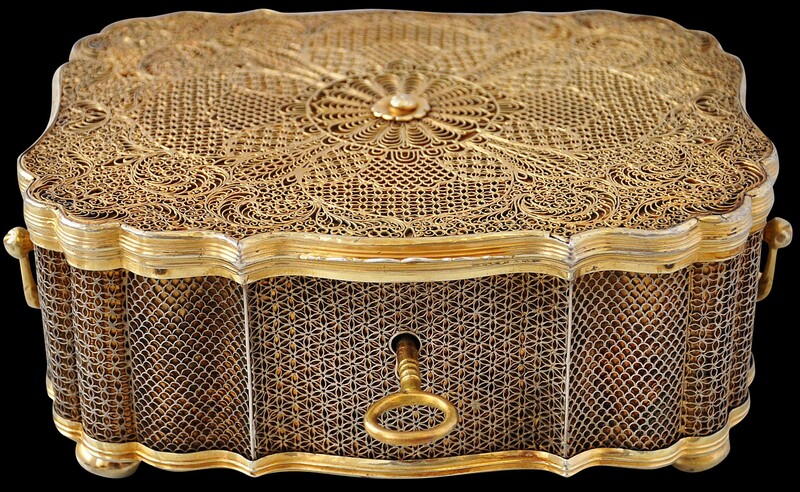 Indeed, such boxes became known as ‘Batavia boxes’. 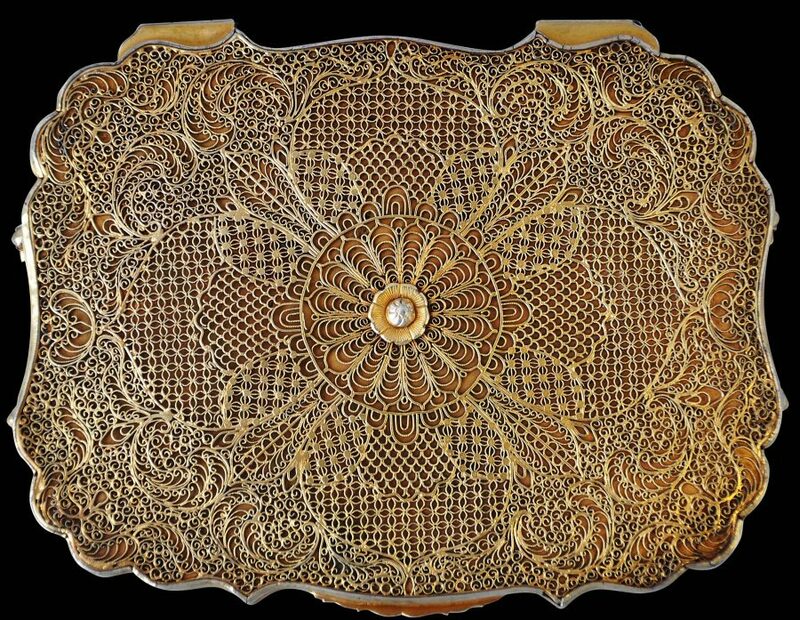 Certainly filigree work of this type was undertaken in Batavia and Sumatra in the 18th century. 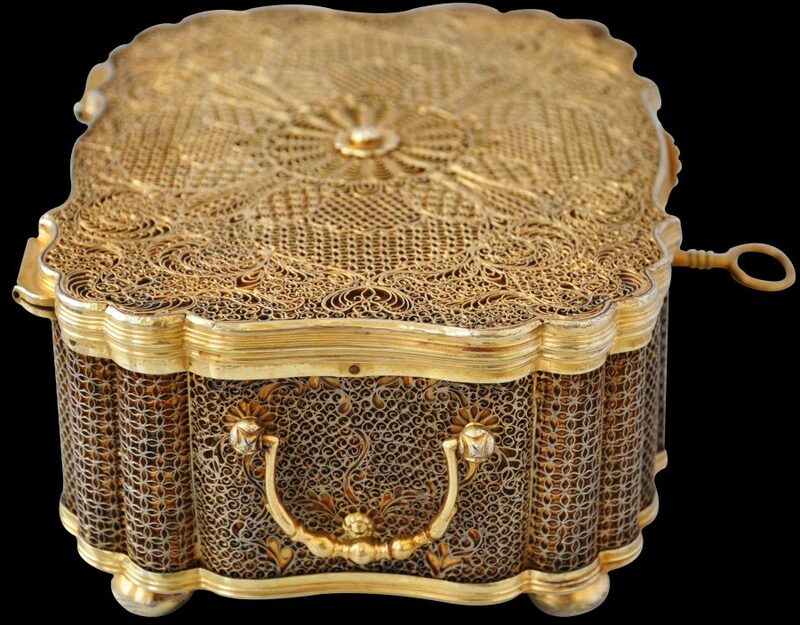 Seven such boxes are in the toilet set of Catherine the Great of Russia. These are in the Hermitage Museum today and are ascribed to China, 1740-1750. The attribution to China seems to have originated with an inventory list of the Winter Palace of 1789 which lists the set as being ‘Chinese’. The taste for ‘things Chinese’ was well developed in Russia by the eighteenth century. Merchants and embassies were requested to source items for the Russian court that were Chinese or at least had the appearance of being Chinese. Russia did not have its own East India Company equivalent. It traded with China by land or ordered goods from the East India companies of other European nations, most particularly the VOC of the Dutch. It is quite possible that Chinese-looking items ordered from the VOC were assumed in Russia to have their origins in China rather than Batavia or India. A casket of similar form and decoration which is attributed to the third quarter of the eighteenth century Batavia is illustrated in Voskuil-Groenewegen (1998, p. 66). Similar pieces from another toiletry set from the Prussian and Germany royal von Hohenzollern family and in the David Chan Collection are illustrated in Chan (2005). 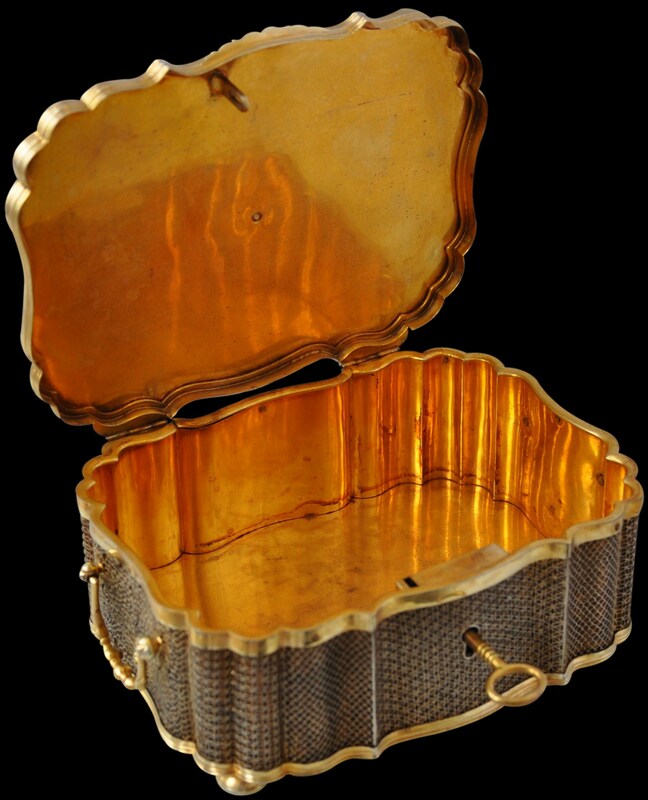 These are attributed to the mid-18th century. Overall, this is a box of the finest quality as evidenced by other extant examples having European royalty provenance. 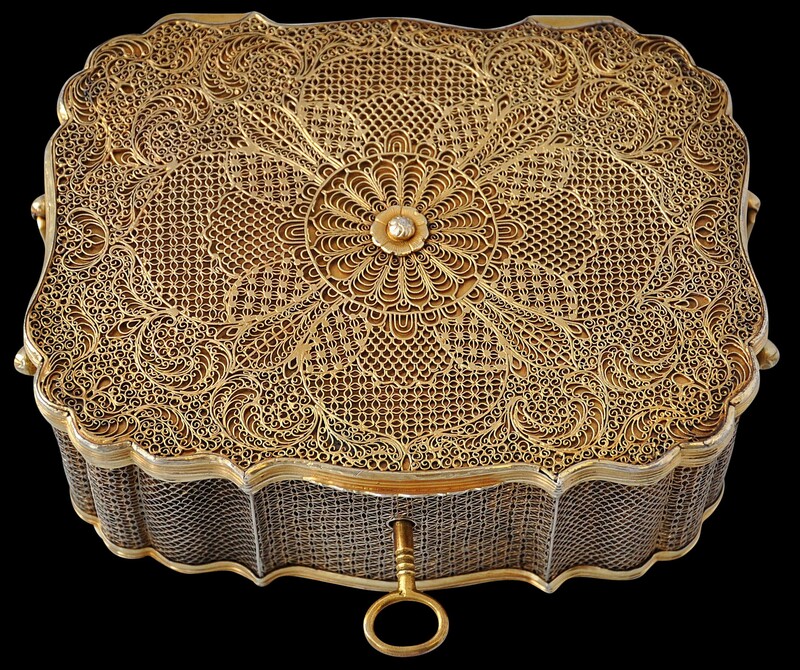 It is a superb example of Batavian or Chinese eighteenth century silverwork. Voskuil-Groenewegen, S.M. et al, Zilver uit de tijd van de Verenigde Oostindische Compagnie, Waanders Uitgevers, 1998. Chan, DPL, Chinese Export Silver: The Chan Collection, published in conjunction with the Asian Civilisations Museum, Singapore, 2005. 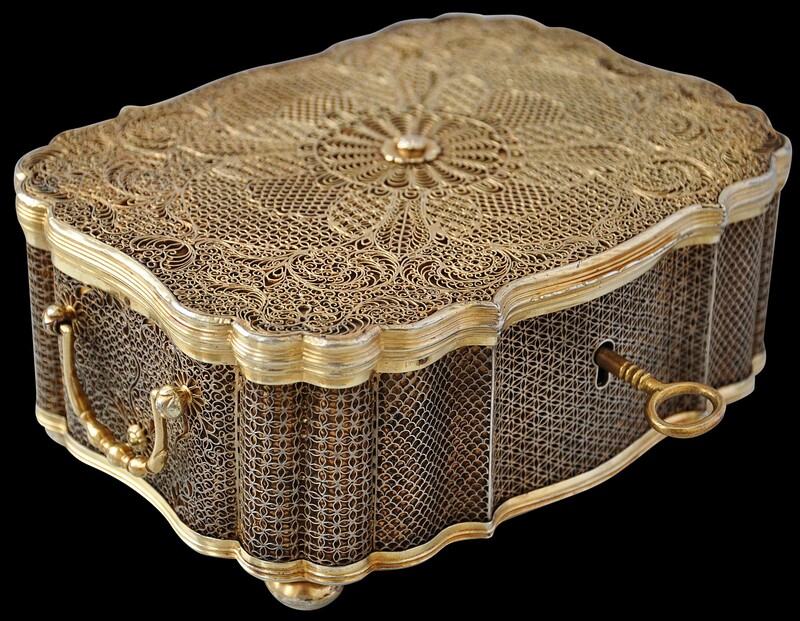 Piotrovsky, M. et al, Silver: Wonders from the East – Filigree of the Tsars, Lund Humphries/Hermitage Amsterdam, 2006.